Congratulations to the 130 participants from five Skillling Queenslanders for Work projects who had completed their course between July 2017 to July 2018!! Since many are busy working, 70 graduates attended this special graduation ceremony that was organised by Multicultural Community Centre to celebrate the completion of API’s graduates in Certificate I in Business, Certificate III in Individual Support or Certificate III in Early Childhood Education & Care. 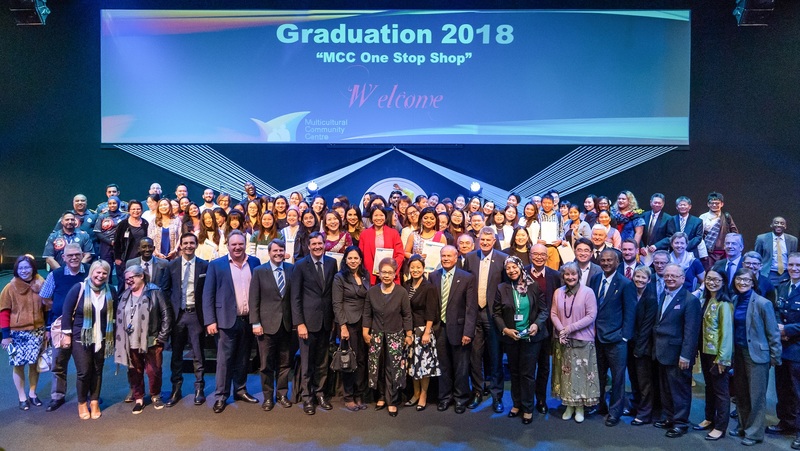 We were very honoured to have the Hon Stirling Hinchliffe MP (Minister of Local Government, Minister for Racing and Minister for Multicultural Affairs) and the Hon Dr Anthony Lyhnam MP (Minister for Natural Resources, Mines and Energy) celebrate with our graduates’ at this memorable event. Best wishes to our graduates for a new and successful career ahead!